The Ultimit Women in Infrastructure Network is all about increasing the number of women in trade and technical roles in the infrastructure Industries. Currently, women are seriously under-represented in these roles, and we want to change that. Ultimit promotes opportunities for a more diverse workforce, with the overall goal of ensuring a continuous supply of skilled trade and technical people. If you’re looking for an interesting, challenging and rewarding career, infrastructure has it all. Along with excellent career progression opportunities, and qualifications you can take anywhere in the world. Connexis can help you plan your career path to get the qualifications and professional development you need to reach your ultimate career goals. Ultimit is driven by Connexis and supported by our industry partners . The programme aims to educate and encourage more women to look at career options within New Zealand’s Infrastructure Industries. Our marketing and communication initiatives to raise awareness around career options for women are promoted at career expos, in schools, and with other education and employment agencies. 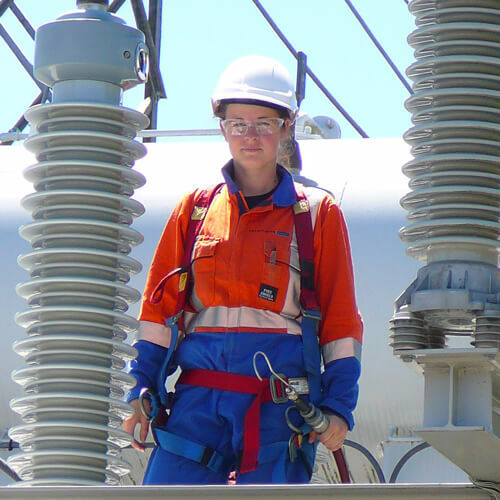 Girls with Hi-Vis® is an Ultimit initiative – encouraging more women to join the industry. Every June we invite our customer companies to open their doors for the day so women can check out what a career in our industries would be like. I didn’t know what I wanted to do when I left school. I was a bit of a ‘tom boy’ and played lots of sport. I was a good student but I couldn’t see myself gainfully employed in the subjects I liked. It wasn’t until I met a female electrician in the town I lived in, and thought what she did was really cool, that I got interested in a trade. I told my parents I wanted to be an Electrician and Dad went out and got me a part time job with a local company pulling cables and wiring plugs. Whilst still at school, I applied to do the ITO Taster Course. The course gave me insight into all the trade roles I could apply for within the electricity supply industry. I believe doing this course assisted in my application being accepted for an apprenticeship. I am now a qualified Electrician with my Power Technician level 5 Qualification. I currently work as the Protection Technician Team Leader at ABB Limited in Hamilton. As a Protection Technician I test, install and commission protection equipment for high voltage sub stations. This work can involve using large test equipment to doing analysis on a laptop. We test to ensure correct operation will occur under fault conditions, and that equipment is in good operational condition. This is to ensure the safety of personal and substation equipment during unexpected conditions. It’s interesting, practical and analytical work. 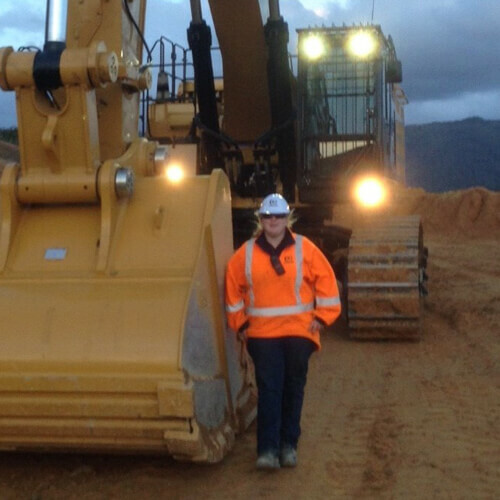 Haley is a machine operator at Goodman Contractors in Waikanae, specialising in bulk earthmoving. She has worked on projects all over the Wellington and Kapiti region, and is currently based at a subdivision in Whitby, carting and filling at the site in preparation for the roading crew. Haley first got into the Civil Industry by working for her Dad, who has a small earthworks company. She says that the job came along at just the right time, when she was stuck in a rut and lacking direction. Work gave her something to focus on and put her on the right path. Haley’s brother and brother in law both worked at Goodmans, and had told her good things about the company. When a job opportunity came up five years ago Haley jumped at the chance – and she hasn’t been disappointed. Her work has taken her out and about to lots of different locations, and she is constantly learning and gaining knowledge. Goodmans are very focused on upskilling their employees, and with their support Haley achieved her first ever qualification – a Level 3 National Certificate in Infrastructure Works (Bulk Earthmoving). “It was a really big achievement for me,” she says.